This was the best experience I’ve ever had with a doctor. Dr. Sarkis is truly a blessing, and I look forwardto having her apart of our lives for a very long time. She is incredibly caring, attentive and knowledgeable! She genuinely wants the best for her patients, and will do whatever it takes to work with them to establish an in-depth treatment plan and to address all of your concerns. She is incredibly thorough, and she will explain everything step-by-step throughout the visit. We love her, and I am so grateful to have stumbled upon her through this website! Thank you! This was the best experience I’ve ever had with a doctor. Dr. Sarkis is truly a blessing, and I look forward to having her apart of our lives for a verylong time. She is incredibly caring, attentive and knowledgeable! She genuinely wants the best for her patients, and will do whatever it takes to work with them to establish an in-depth treatment plan and to address all of your concerns. She is incredibly thorough, and she will explain everything step-by-step throughout the visit. We love her, and I am so grateful to have stumbled upon her through this website! Thank you! Amazing! She was so supportive and knowledgeable. I highly recommend and will definitely be going back. I loved Dr. Sarkis and her assistants. Was pleasant. Disorganized and rushed. Poor follow Up. I love Dr. Sarkis. She genuinely cares about all her patients! Dr. Sarkis is warm and caring! I finally found nice family physician for me and family! Dr. Sarkis is a compassionate, empathetic and wonderful Doctor. She truly listens to her patients and goes above and beyond. Lucky to have been referred to her by a family friend. I felt good talking to Dr. Sarkis. She was straight forward with her recommendations. Her staff was friendly and I felt at ease. Dr Sarkis is nice and knowledgeable. She has a great attitude and provides great advices. The only area that I'd like to see improvements is to ask the office managers to schedule the time more wisely to reduce the waiting time. The doctor herself is very mannered and able to connect to you as a friend more than anything. She explains everything in detail and makes you feel very comfortable. I came in extremely irritated with what was going on within mybody and here I am a few days later cleared of it. Unfortunately I did have to wait over an hour before seeing her. Very pleased. Doubly so as she spoke Spanish so my wife could participate in the discussion. Was looking for a primary doctor and Arbella was exceptionall!! My husband said she was very helpful and personable. Will definitely keep her as our dr. Very nice, friendly, and personable. Makes patients feel comfortable. She's very professional, knowledgeable and helpful with any questions you may have. Very pleased. Very nice lady. Will definitely be going back, but hopefully not to soon =P Also was able to pay my copay right there. Very convenient. Also very pleasant and friendly staff. She seems like a wonderful person and has great bedside manners. However, there was no follow-up with her and the office scheduled a follow-up appointment without my knowledge. I need a primary care physician that can help me manage my physicalhealth and just did not get that understanding from her. Dr. Sarkis was very attentive and compassionate. She listens well and gives good feedback that lets you know she has heard what you have said. I was very happy with my overall experience with her. She was really really great, however the appointment I was there for (a dermatology consult) was not what I got unfortunately. The website showed that I could make an appointment with her specifically for that reason, and the front staff askedme a couple of times my reason for visit and was surprised to hear about dermatology. If I knew it wasn't commin to go there for a den consult I would have just asked my primary care physician for a referral to an actual dermatologist. She definitely was so sweet and kind, however I didn't get what I signed up for unfortunately. She was very kind and thoughtful. Dr Arabella is very competent, attentive, kind, and sweet. She listen all our issues, explain and clarify everything, our symptoms, possible causes, test results and advices. I just came from Brazil and was concerned about visit a Doctor fromanother country, but she made me feel comfortable and confident. She is also very patient with my difficulty speaking English. Dr. Arbella is very attentive. She answers every questions or concerns. I felt comfortable around her. She has excellent bedside manners. Incredible bedside manner. She is energetic and has a very sweet and maternal vibe about her. Has answered a number of my questions and curiosities about medicine and my health and has taken the time to see me when I came in needing some quick help without giving notice. Horrible doctor. Just asked what my symptoms were and prescribed.. What if I was wrong? Luckily I wasn't... I waited about an hour and 30 minutes. It was a TERRIBLY long wait.. Then she came in for 5 minutes.. She askedwhat was wrong and prescribed- Done. I would never go back! Long wait but one of the best doctors I have ever been to. She helped me out when no one else would at a reasonable price. *Warning, before I begin this review is not intended to tip off pill shoppers?? asI think they are called to call her office and waste this excellent doctor's time*. Other primary care doctors accused me of trying to do this because I have had seizures w/ proof since my early twenties and prior to that I was diagnosed with ADHD at a young age. Soooo I have a very interesting prescription chart that makes most doctors refuse to even consider prescribing me medication even though I need it. Once they invent an ADHD drug that works for me (Straterra does) but has some nasty side effeects. I will gladly take it. I went to 2 doctors before she was willing to help me out before I moved to Oregon and she prescribed the medications that my former neurologist from Kaiser Permanente recommended, as well as, a stopgap measure for my ADHD. I know have a neurologist and primary care doctor that agree with her evaluation in Oregon. She gave me just enough medication (not too much, not too little) to make it to Oregon and start a new life. I recommend her because she really listened and understood that I was in a tough spot and and SHE ACTUALLY CARED!!! Arbella is genuine and direct. She is wise and fast. It's nice to have a doctor go into diagnosis with an open mind. Intelligent and through. Highly recommend her. Excellent doctor and very good staffs.Very knowledgeable doctor.i highly recommend her. She was amazing! She was very welcoming! I like Dr Sarkis but the wait times in her surgery are unacceptable. I have arrived for a 2:30pm appointment and left at 5pm before. No doctor is worth that wait, unfortunately, and her front desk staff leave a lot ofbe desired on the manners front. It's a shame, as I love Dr Sarkis herself. Everyone was extremely nice. Unfortunately there were a few too many interruptions. Rather than focus on just me, she was interrupted several times by her nurse. I had to ask the nurse twice for the lab slip for blood work. Herresponse was "Are you sure you are not getting it confused with the other patient we were talking about?" I also had to call the office the next day to remind someone to phone in my prescriptions. She's a wonderful sweet caring doctor. Great new offices and change of staff is working great as well. Still a bit of a wait, but well worth it. Talking with other patients while waiting (20min), it's obvious she's there when youneed her no matter the hour. That's something I never had with other doctors and why I'm keeping her as long as I can (but hope I don't need her). All my questions were answered. Takes care of patients' insurance issues. I've lived in several states and, therefore, have had numerous primary care physicians. Dr. Sarkis is by far my favorite. 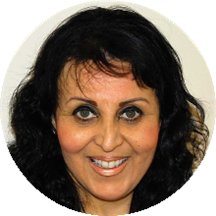 She actually spends times with her patients to ensure you understand what is taking place, what a medication will do, whymedication A instead of medication B, and she also offers recommendations that enhance and supplement medications. Nice, thorough. But I really don't have an hour to wait to be seen - especially when I made an appointment. Otherwise, good experience. Awesome. Thorough, professional, kind, thoughtful. Awesome doctor! However, because she takes so much time with each patient get ready for a wait. She'll explain everything in detail and things you may not have thought of. Not your typical write a prescription and your out doctor. Really cares.